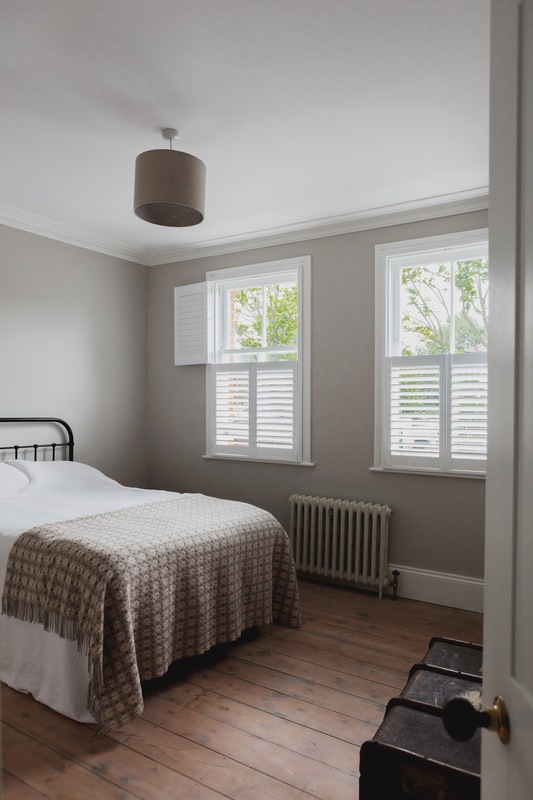 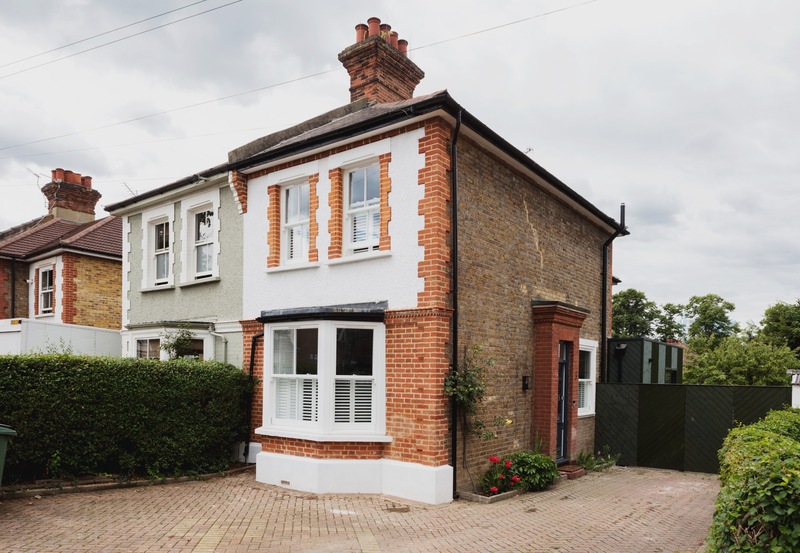 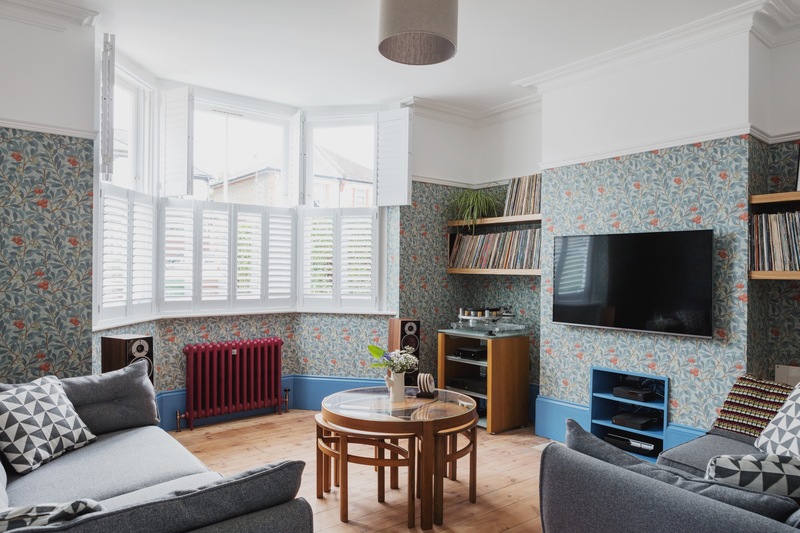 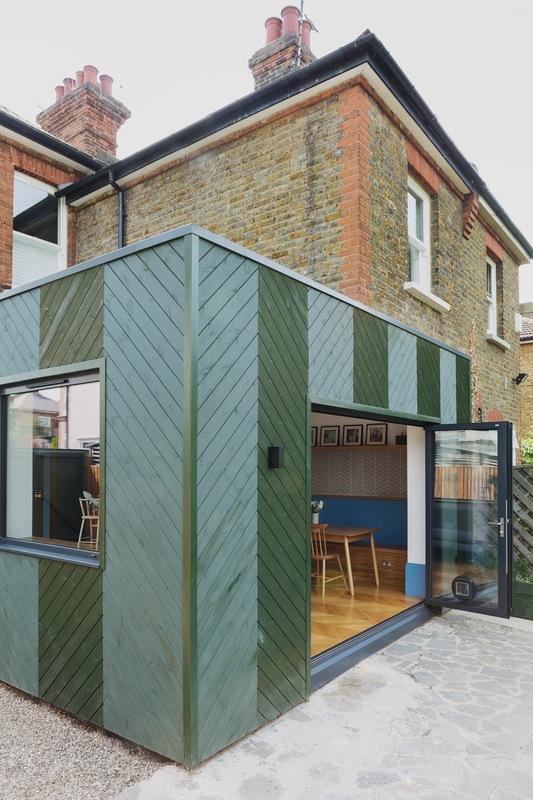 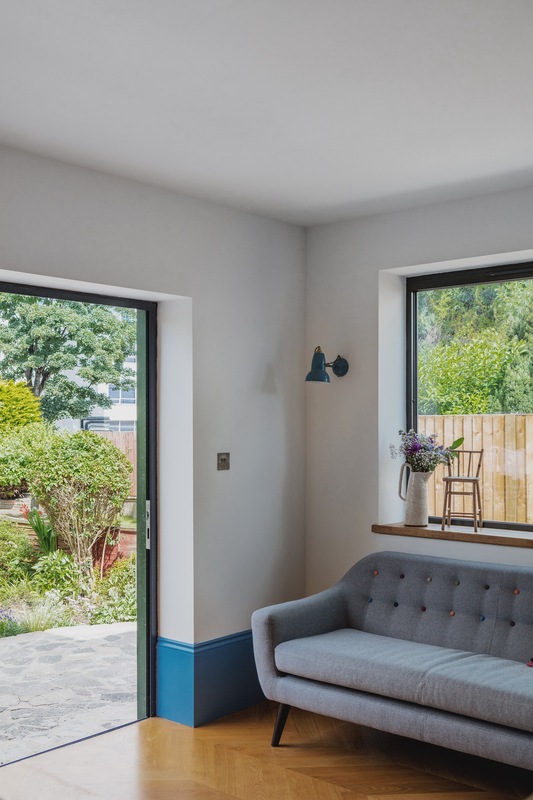 A contemporary new extension provides counterpoint to this period property which has also been fully restored, renovated and upgraded throughout. 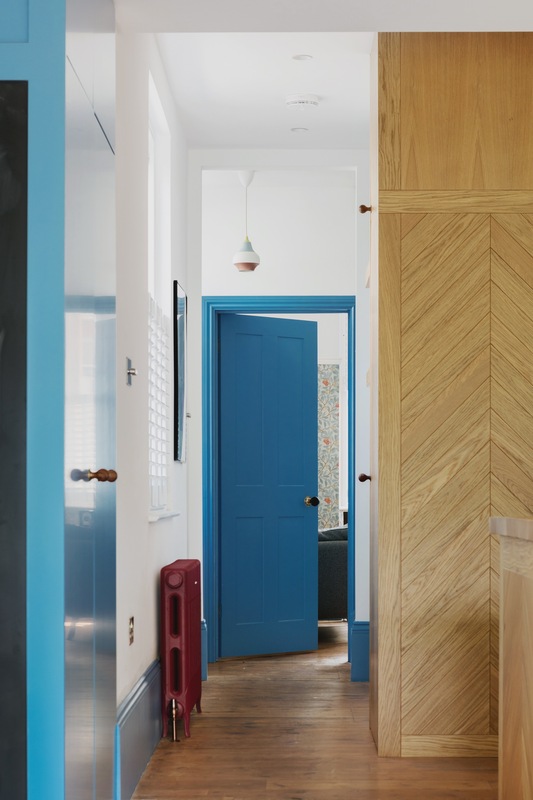 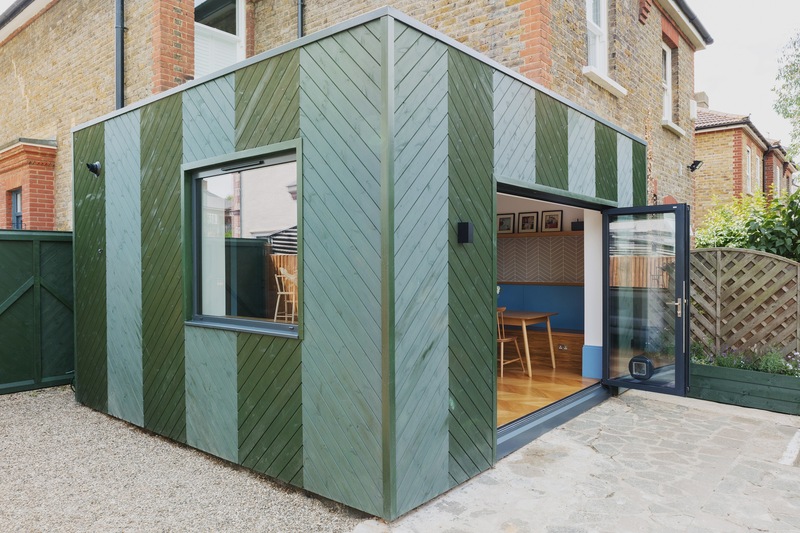 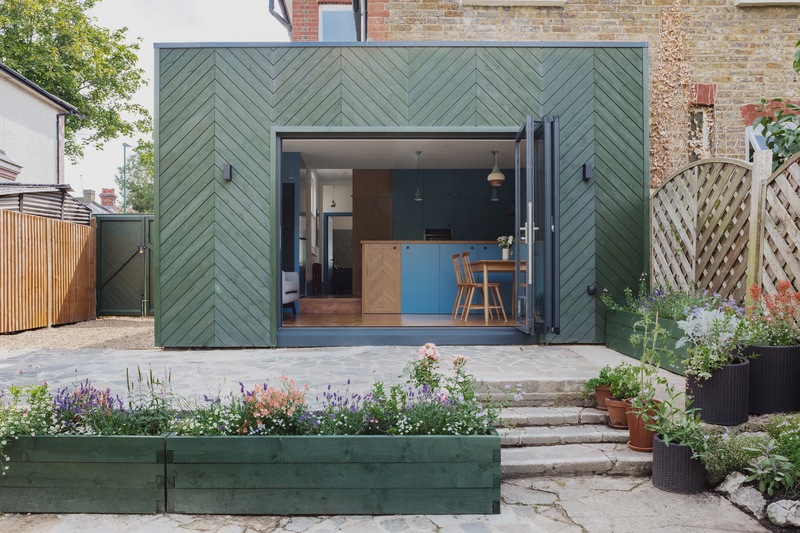 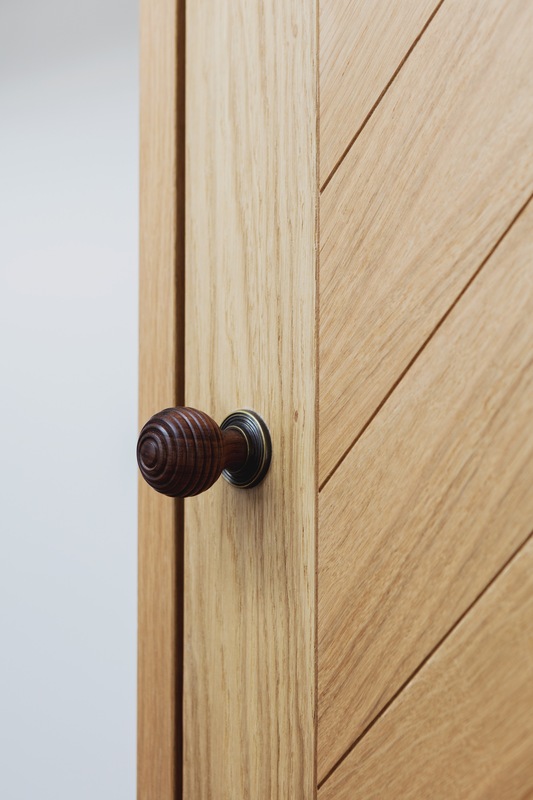 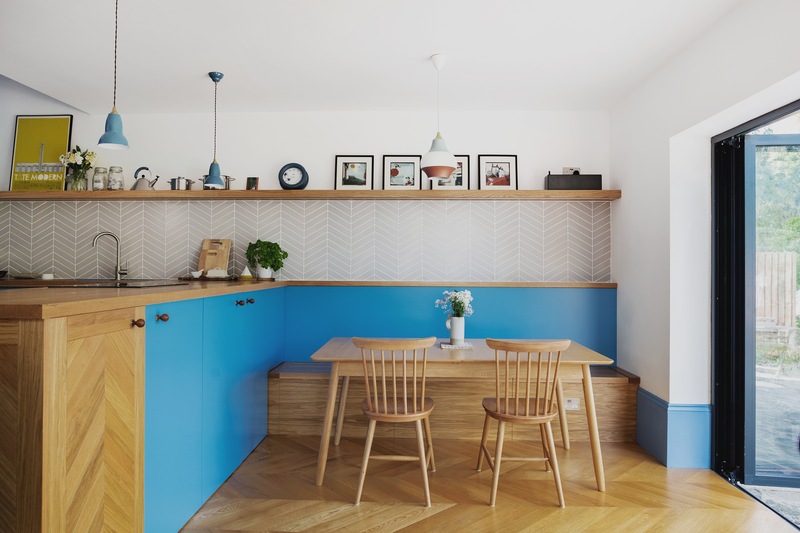 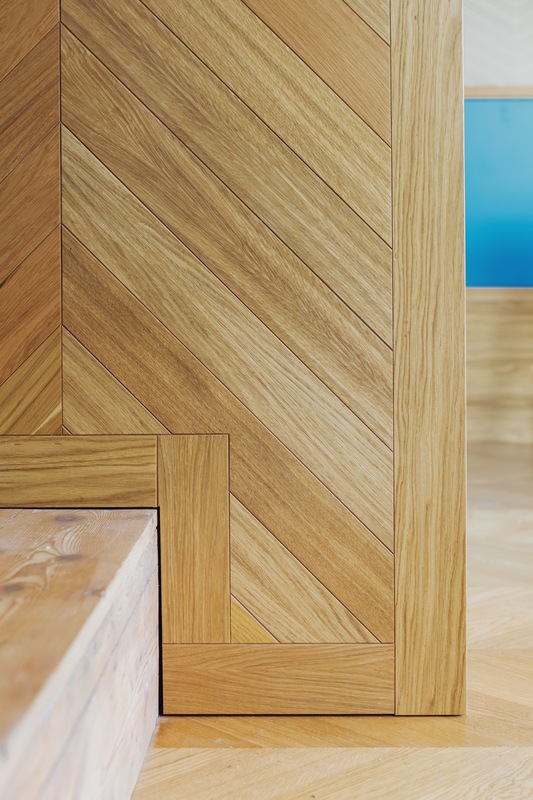 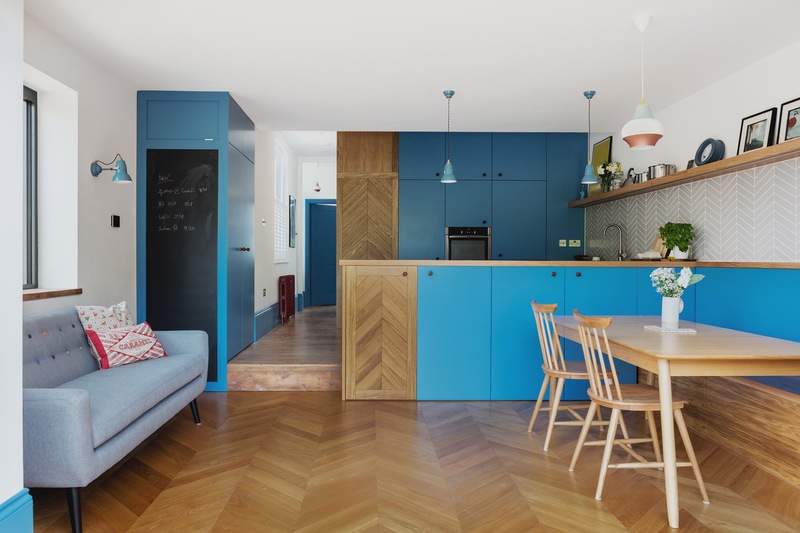 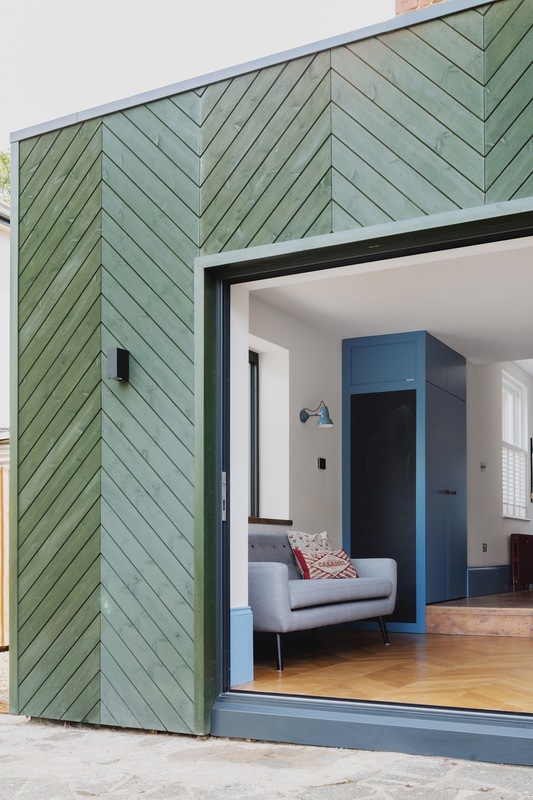 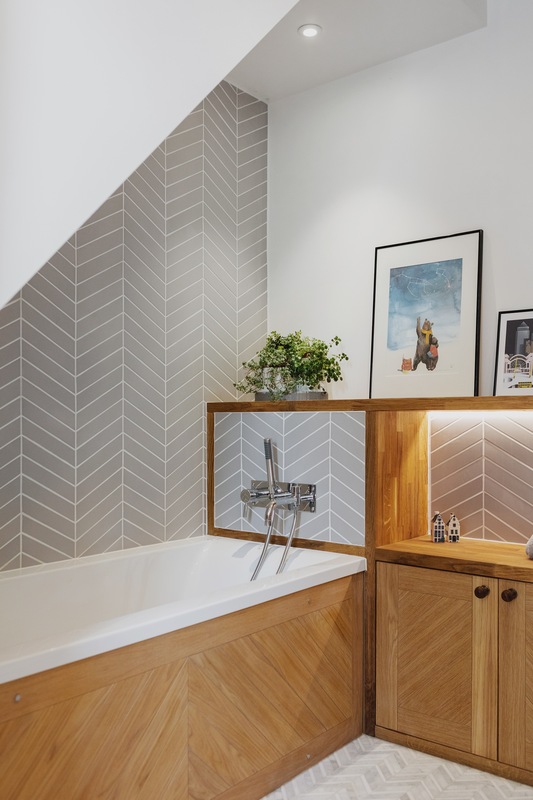 The Chevron timber cladding to the extension provides a motif which is employed throughout the interior design of the house from the bathroom tiles through to the Oak floors and bespoke kitchen. 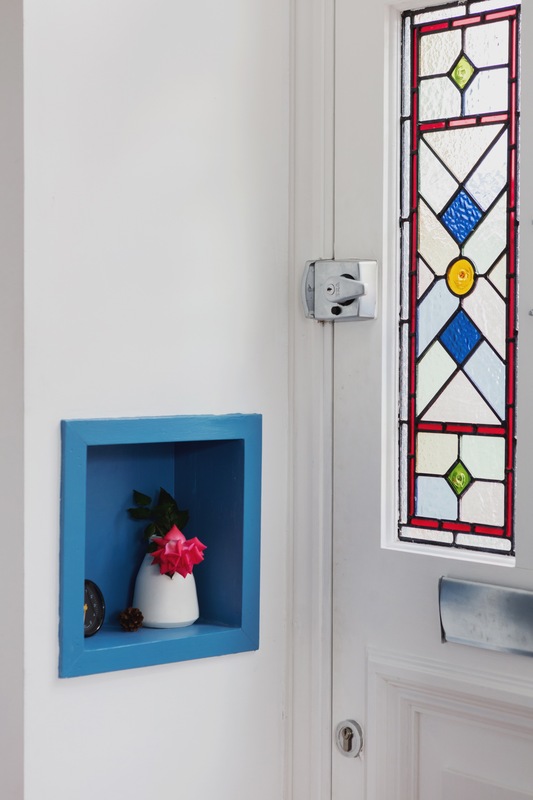 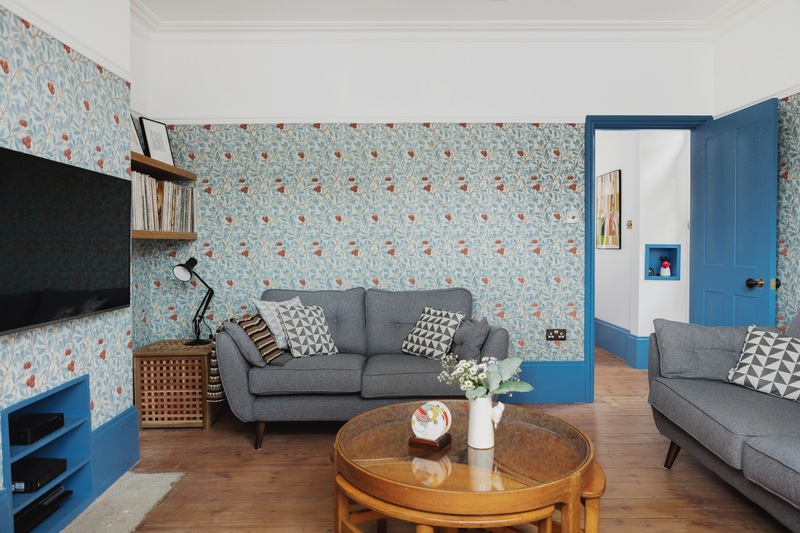 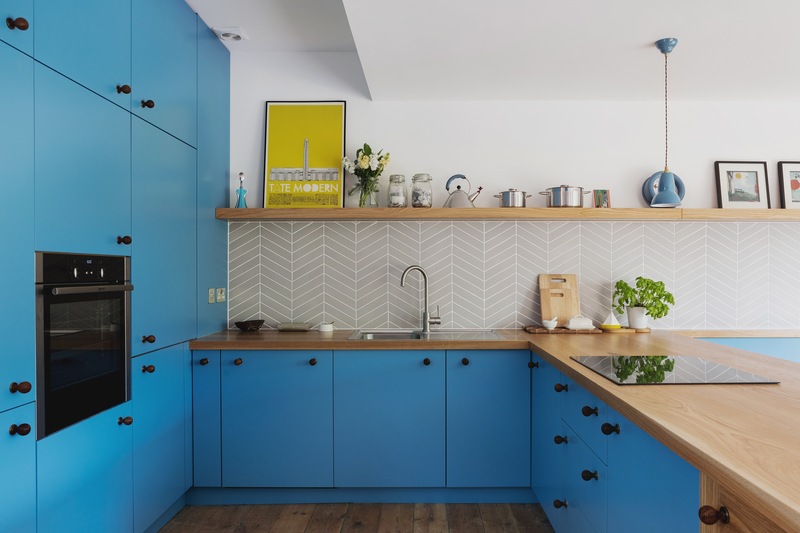 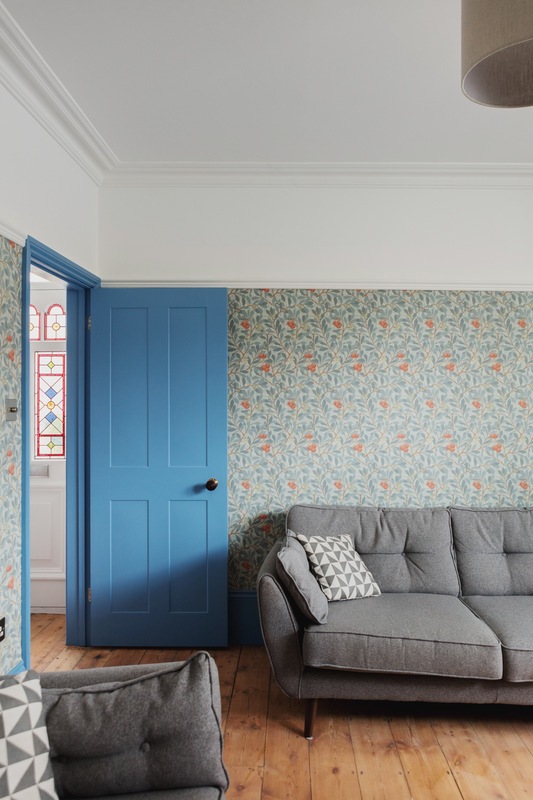 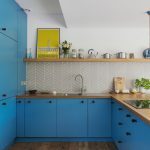 A bold, colourful palette is used, reflecting the personalities of our clients and providing a bright and uplifting living experience and family home. 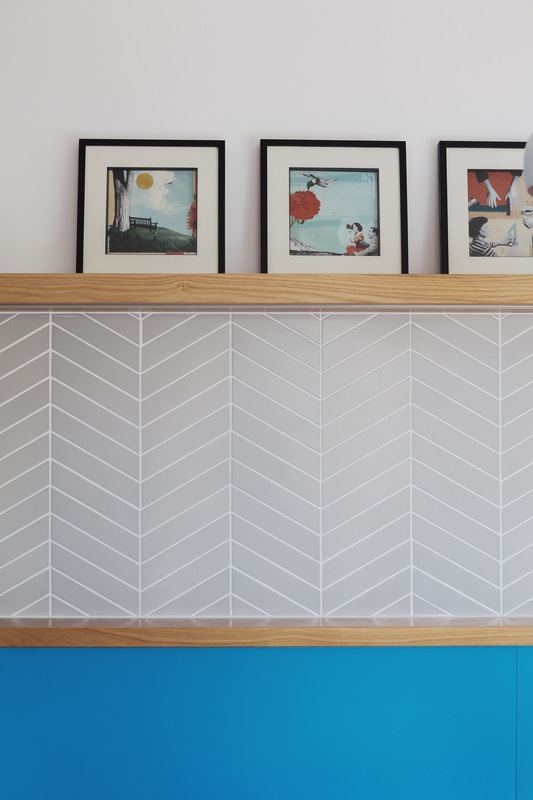 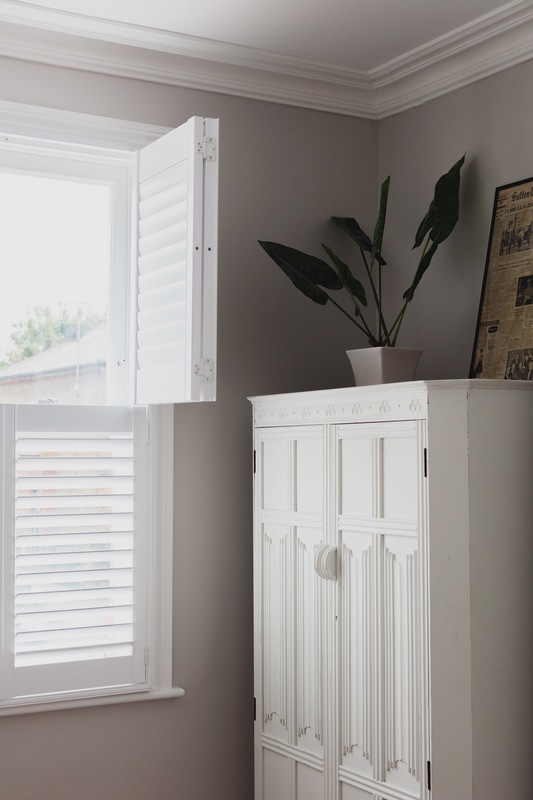 Harp & Harp provided a full service including, architecture, interior and kitchen design.